Speaker: Richard Y. Zhang, Ph.D.
Abstract: Computational engineering finds numerous applications in societal problems like energy, transportation, and data science. In each case, it promises to enhance engineering design, analysis, and experimentation through optimization, learning, and simulation. However, many computational problems remain unsolved at the scale, speed, and quality necessary for real-world engineering, due to issues of complexity and nonconvexity. In this talk, we design fast, reliable algorithms that come with guarantees on their speed and quality of solution. To do this, we use domain expertise to identify underlying mathematical structure, such as the graph theoretic notion of treewidth, or the existence of a hierarchy of interactions. Then, we develop domain-specific techniques to exploit such structure. Finally, we give case studies on real-world systems containing tens of thousands to hundreds of millions of parameters. Biography: Richard Y. Zhang is Postdoctoral Scholar in the Department of Industrial Engineering and Operations Research (IEOR) at the University of California, Berkeley. 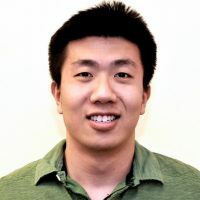 His research interests are in computational mathematics and engineering, particularly in the solution of large-scale, nonconvex problems, and with applications in electric power systems, power electronics, data science, and machine learning. He received the B.E. (hons) degree with first class honours in Electrical Engineering from the University of Canterbury, Christchurch, New Zealand, in 2009 and the S.M. and Ph.D. degrees in Electrical Engineering and Computer Science (EECS) from the Massachusetts Institute of Technology (MIT), Cambridge, MA, in 2012 and 2017 respectively.